Nearly every person in our ministries are first generation Christians. It has been our experience that very often first generation Christians have a zeal for the Lord that, sadly, is not found with many second generation Christians. We are regularly challenged by the faith of these folks. We are especially blessed to hear the folks sing unto the Lord from their heart. 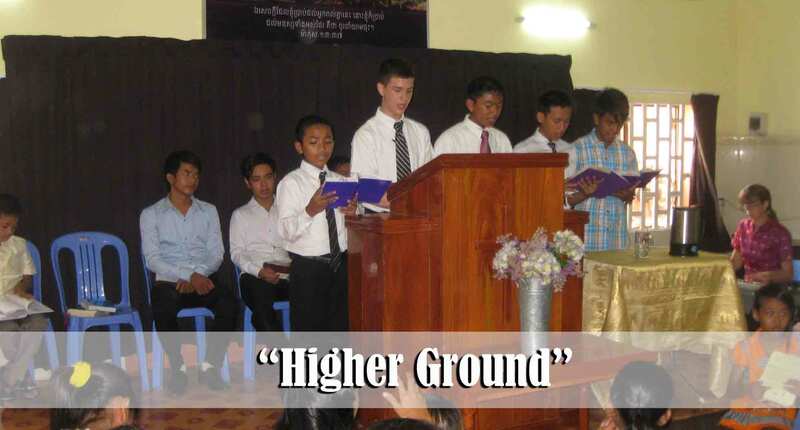 Five of the young men sang “Higher Ground.” We are so happy to see Jason jumping in and singing in the Khmer language. Over the past six months his reading and vocabulary has really improved. Of course that makes it more difficult for his mother and I to talk about him behind his back! 🙂 After the morning service all the chairs and song books had to be taken up to the roof for the baptismal and testimony service. It was a blessing to have about ten of the teenagers and young adults stick around to help tear down and clean up the roof after the service and pot luck. I know from first hand experience that it is not an easy task to carry the chairs up and down the narrow staircase. One wrong move and it’s all over… Yet, we heard no complaints from the workers! We had eight folks follow the Lord in Believer’s Baptism on Sunday morning. 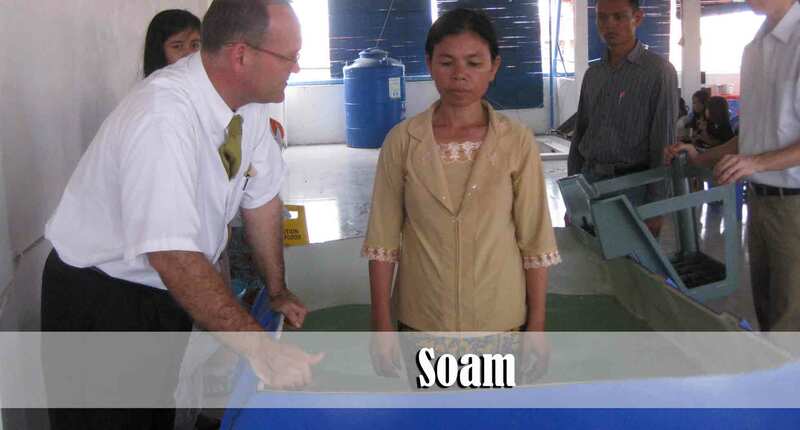 Soam has a very good testimony in the village and a strong desire to honor the Lord with her life. Please continue to pray for her husband, Hem, to be saved. Chantha is one of our very faithful teen girls. The joy of her salvation radiates from her countenance. It is always refreshing to watch her during preaching as she is intent upon hearing and understanding everything that is being taught. Soam and Chantha are both a part of our church plant in Anlong Tnout village. Po and his daughter were both baptized as well. 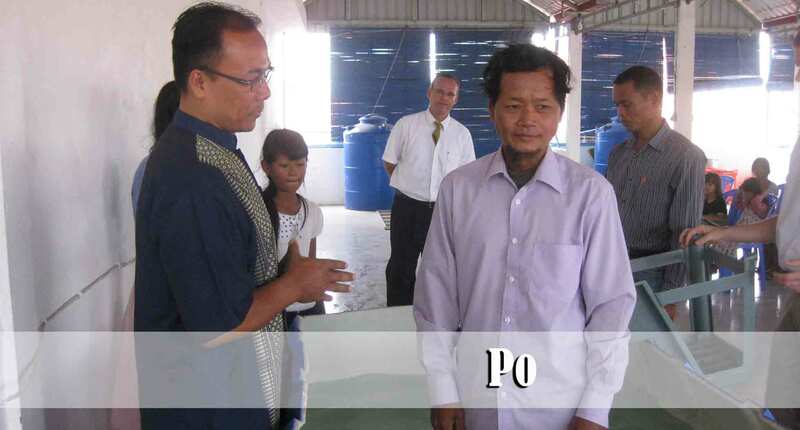 Po is a growing Christian who, I believe, is trying to be a good testimony for the Lord in his village. He is the uncle of one of our faithful men, Brother Sinath. Lord willing, we will begin holding Sunday morning services in his village in the new building we just built beginning on the first Sunday of August. Please pray for Brother Keo, Vannak, and Sinath as they will travel back and forth to Prey Bang village each week to help get this new work established. 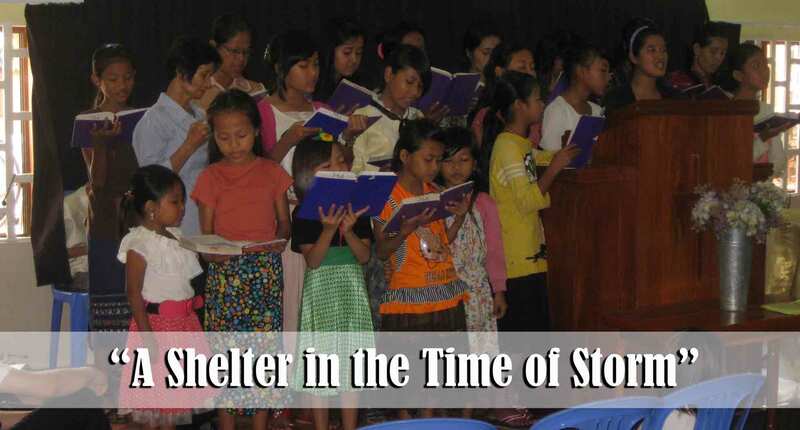 Over time we intend to have some of our other members from Phnom Penh help with this new church plant as well. It is interesting how God often uses connections from our past to help reach people. 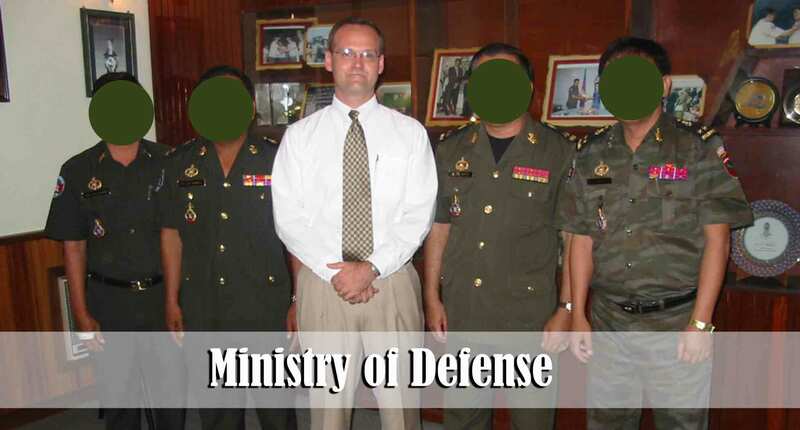 Back in 2006 I taught English for a time to six or seven Army Generals at the Ministry of Defense (Department of Defense) here in Phnom Penh. 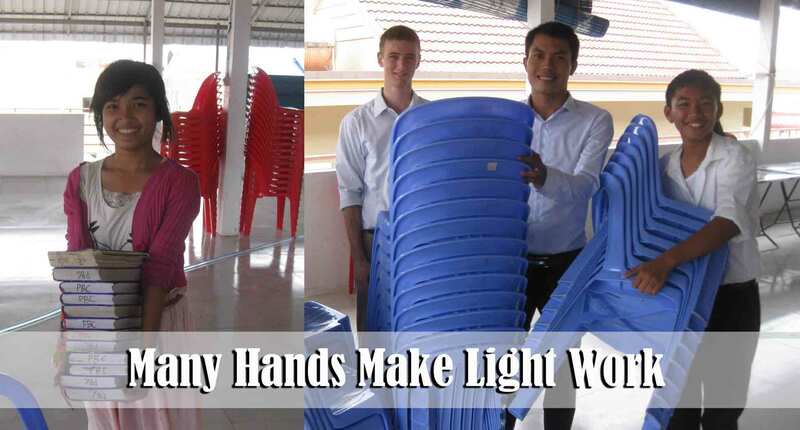 Though my involvement only required a few hours a week, I was able to learn quite a few things that have helped in my ministry here in Cambodia. Fast forward to the year 2013 — Last week I was in Prak Pnou village handing out our new tract, “One Minute After You Die” and I met a young man named Oudom. Oudom is 27 years old and speaks fairly good English. We stood and spoke with each other at the side of the road for awhile. When it became evident that he wanted to know more about the Lord I had him show me where he lives. To my surprise he lives with his parents in the only villa (mansion) that I have ever seen in Prak Pnou. Last Tuesday I went to his home and met with him outside next to the family fish pond for about two hours. I asked a lot of questions with the goal of understanding where he was coming from. I discovered that he is a graduate of the Military Academy and that his father is a high ranking officer in the Cambodian Army. I handed him some evangelistic materials to study and arranged to meet him again on Saturday. The meeting on Saturday went even better than the first meeting. After teaching him for nearly four hours his mother invited me into the house to eat lunch with the family. Oudom and I spent some time looking at family pictures that were on the wall. Most of the pictures were of his father shaking hands with very powerful people here in Cambodia such as the Prime Minister, the President of the Senate, and the top Army General. When we got to the picture of the General I told Oudom that I used to teach him English and I called him by name. This came as quite a surprise to Oudom and his mother. This picture was taken in the General’s office at the Army headquarters where I taught English. Oudom and his mother, Somally, and his 15 year old sister, Srey Pich, seem very open to the gospel. I have a third appointment scheduled to meet with them tomorrow morning at 8:45. Please pray that we will see both Oudom and Somally come to know the Lord. Oudom is 27 years old. Several months ago I met a 27 year old man named Rith while I was at a coffee shop studying. I gave him a tract and did some small talk with him and left it at that. Last week he called me out of the blue and we arranged to meet once again at the coffee shop. The meeting went well and I was able to speak more directly with him about his life and the Lord. Rith is a university graduate, has a good job, and speaks English very well. Yet he told me that there is something huge missing from his life. He says he wants to make changes in his life but he doesn’t know what changes he needs to make nor how to make them. We have another meeting scheduled for this Thursday morning at 8:30. Please help pray that the Holy Spirit will use the materials we have given him and our conversations to draw him to salvation. He told me that I am the first person who has ever spoken with him about Jesus. 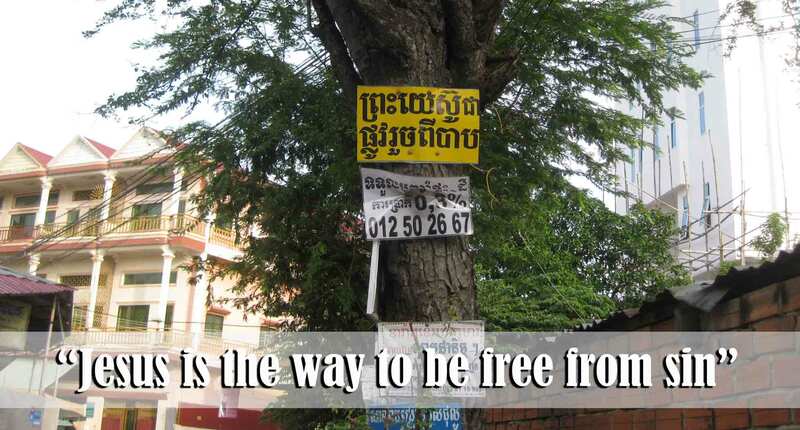 One will occasionally see this yellow sign posted on trees or poles around Phnom Penh. The sign says, “Jesus is the way to be free from sin.” I drive past this particular sign on a regular basis. The most amazing thing is that no one tears these metal signs down. I have no idea what group posts these signs but we thank God for every Biblical method of spreading the gospel message in this country. Unfortunately not all “Christian” groups in this country have the sense to know how to appropriately and effectively share their faith. Some of the methods used do great damage to the cause of Christ here in this predominately Buddhist country. Yesterday one of our members saw and heard a truck going down the road here in Phnom Penh. They were apparently taking advantage of the situation and had mounted speakers on top of their truck. Playing very loudly through the speakers was the phrase, “P’doo ! P’doo ! If you don’t change what you believe you will die and go to Hell !” They are not only a poor testimony in the community but foolish methods like that can cause serious problems for the rest of us. This is what downtown Phnom Penh looked like Friday early afternoon. This man is running in the elections but for the past four years he has been self-exiled from the country and living abroad in order to avoid facing a prison sentence on charges that he claims are false and politically motivated. This past week the King issued him a pardon which cleared the way for him to return. He arrived this past Friday at 9:00 in the morning. Out of curiosity I drove to the airport at around 6:45 a.m. to see how many of his followers were there. At that time there were around 10,000 people already lining the street in front of the airport. I hung around for about 20 minutes then decided that I better get out of there unless I wanted to be a part of what was sure to become a serious traffic jam. This is how the crowd looked at 12:00 noon. 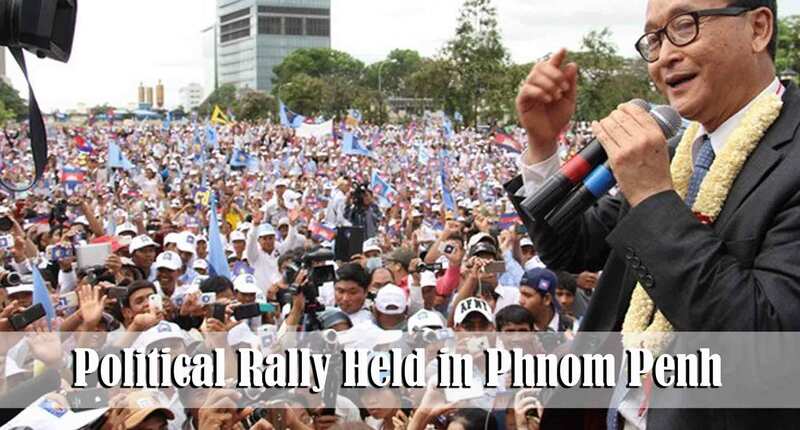 One local newspaper reported that there were 100,000 supporters at this rally. Please help pray for the elections which will be held this Sunday. Things could be very quiet or they could take a turn for the worse as passions on both sides are inflamed. 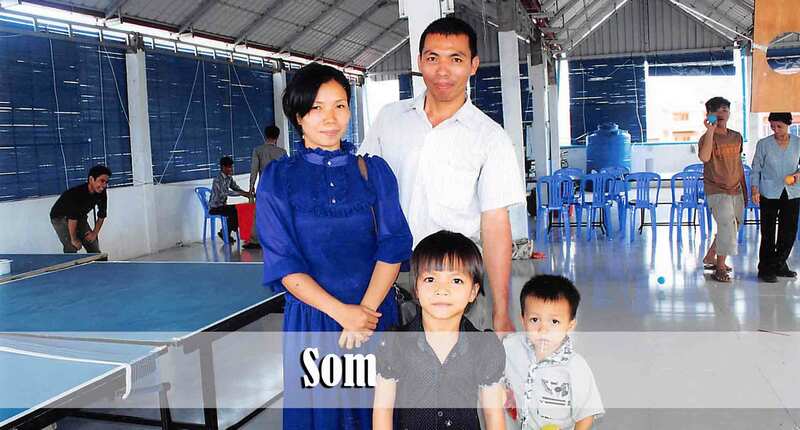 Yim and Som are a very faithful family in the church. They were both saved out of Islam and have undergone serious persecution for their faith in Christ. Som’s father, the village chief, disowned her because she would not renounce the Lord Jesus Christ and return to the Mosque. Yim’s mother took away his inheritance of land because of his stand for the Lord. This past week Som felt ill and went to the hospital here in Phnom Penh. After staying there for three days she seemed to get worse. The family was particularly concerned because she was 8 months pregnant. They made the decision to take her to a hospital in Vietnam that is known for its excellent care and compassion for human life. After she underwent testing it became evident that the hospital here in Cambodia had been injecting her with the wrong medications and she was having a serious reaction. Last night the word from the hospital was that she only had a 30% chance of survival. If she lived they said the baby would definitely perish. If the baby was able to be born alive there was almost no chance that Som would survive the birth process. The decision was made this morning to perform a C-section in order to try and save both Som and the baby. Many here have been praying earnestly that God would preserve these two lives. This is a wonderful and godly family. Yim is a student in the Bible Institute. Two of our members are with them at the hospital in Vietnam. Tomorrow morning very early Bro. Keo will leave on a bus to make the 5 hour commute to the hospital as well. Please help pray that God would be glorified by sparing these lives and that this situation will work together for good. The latest word that we have received is that the baby is in an incubator and seems to be fine. We think that Som is doing better than last night but we are all receiving second and third hand information. Phnom Penh has, in many ways, become quite modern but every once in awhile you will see “vehicles” like this ox cart that just startle you! This cart is full of clay pots. The owner has traveled to Phnom Penh from Kompong Chhnang Province (about an hour past our village church in Anlong Tnout). I have been told that it takes him about a week to reach the city. 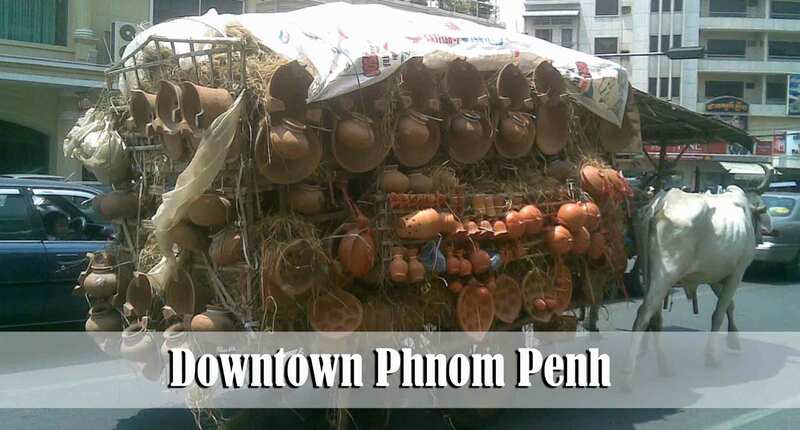 He will remain in Phnom Penh until he sells all the pots then he will make the long trip back home to the village. The amount of profit he makes would likely not even pay for a nice meal for a family of four at a decent restaurant in the States. Thank you for your interest in what God is doing here in Cambodia. We all covet your prayers.